UCLA Global Classroom provides international high school students with the opportunity to gain skills and engage with UCLA instructors in university-level education. Driven by UCLA’s mission of teaching and fostering global and local partnerships, Global Classroom collaborates with international programs and high schools to offer UCLA education through in-person, credit-bearing UCLA courses. Upon completing the courses, students receive a UCLA Extension transcript with credits transferable to most US universities. Global Classroom reflects UCLA’s commitment to student learning and development by working with academic departments on campus to identify and recruit lecturers with strong academic backgrounds and extensive teaching experience. All lecturers either hold PhDs or have been recognized as top candidates from their department to teach while completing their final year of dissertation work. In the classroom and through mentorship, Global Classroom instructors work closely with students to build academic and leadership skills and encourage a commitment to social engagement. 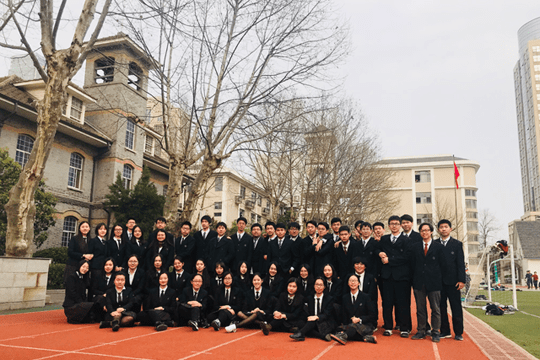 Global Classroom has partnered with Jinling High School in Nanjing, China since 2010. In Fall 2018, Global Classroom will begin another major partnership with Soong Ching Ling School (SCLS) in Shanghai. "UCLA Global Classroom begins second major partnership in China"